The Nokia lumia 530 latest flash file updates have been released and downloading link is available for download in rar files. Flash files of nokia old generations are in three main files mcu, ppm and cnt but the nokia lumia generation flash files in different formats. So you will need to download flash files in zip format. Nokia lumia can support for windows flash files. So your flash file in maximum size like in 1 or 2GB. Your phone can support for only updating its old firmware from its official site. If your firmware completely corrupted you will need to flash it with its latest flash files which we have shared here. You can use different flashing tool or micro boxes for flash your cell phones. If you haven't experience in flashing it is little bit difficult for you. To flash windows phones it is bit difficult for you. If your phones usb cable is not working good you can't able to flash your phone easily. Before flashing you will need to take backup of your important data like messages, contacts and images because after flash you will lose your all of data and your mobile will restored in its original settings. 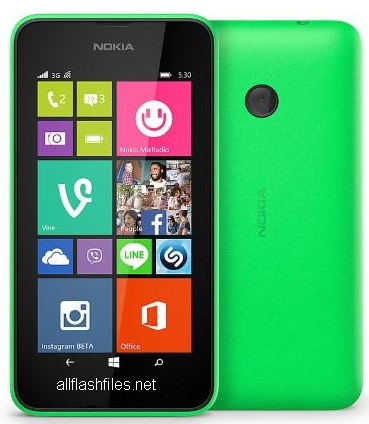 We have shared nokia lumia 530 latest flash files link below. Now you can download flash files of your phone from below download links.